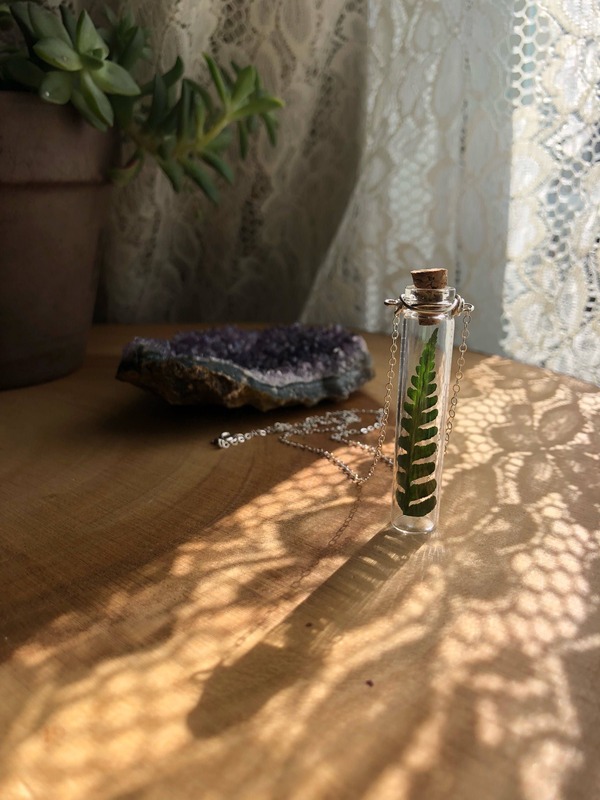 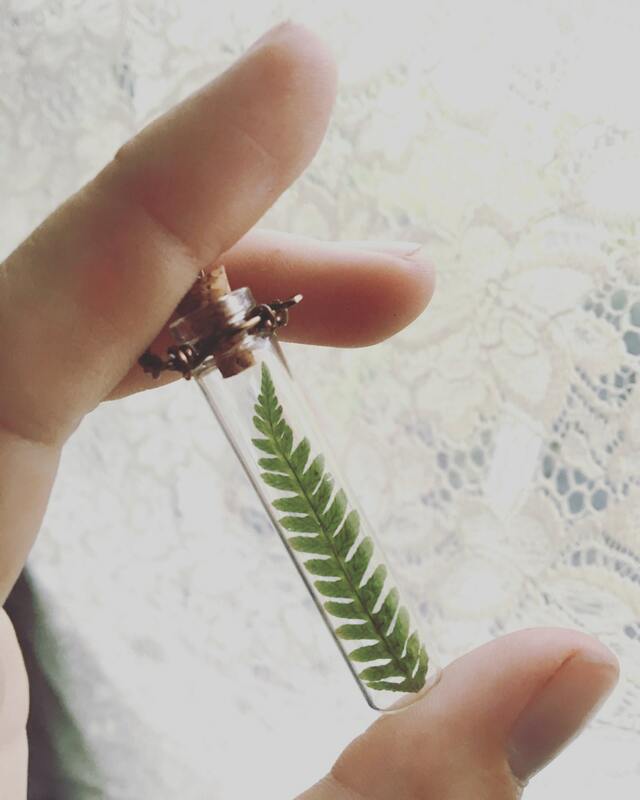 "We have nothing to lose and a world to see, unfurl and let your heart be"
🌿A uniquely dried wild fern leaf has been placed inside a glass vial and wire wrapped by hand to securely attach to a chain of your choice. 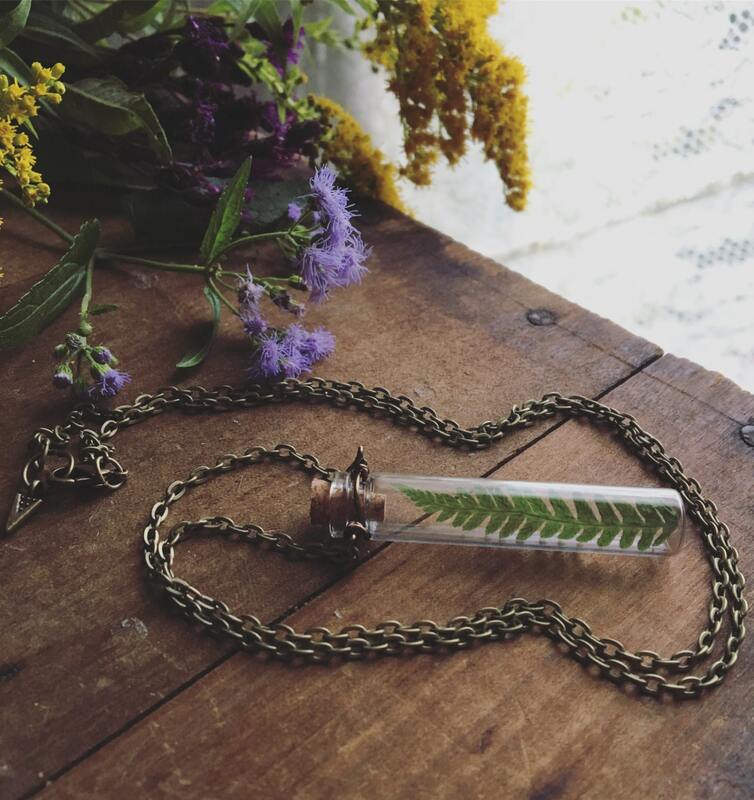 The unique hand wrapped bail prevents this chain from flipping around. 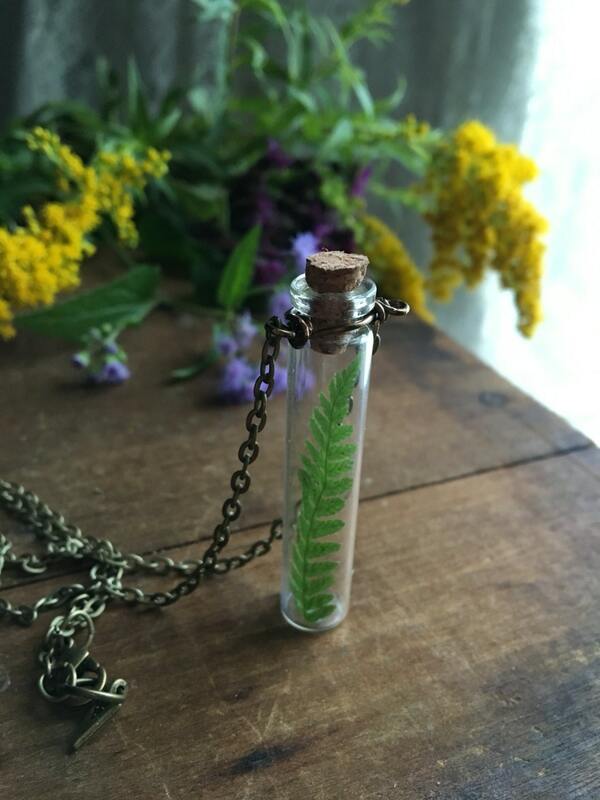 shipped on time and has a very nice chain. 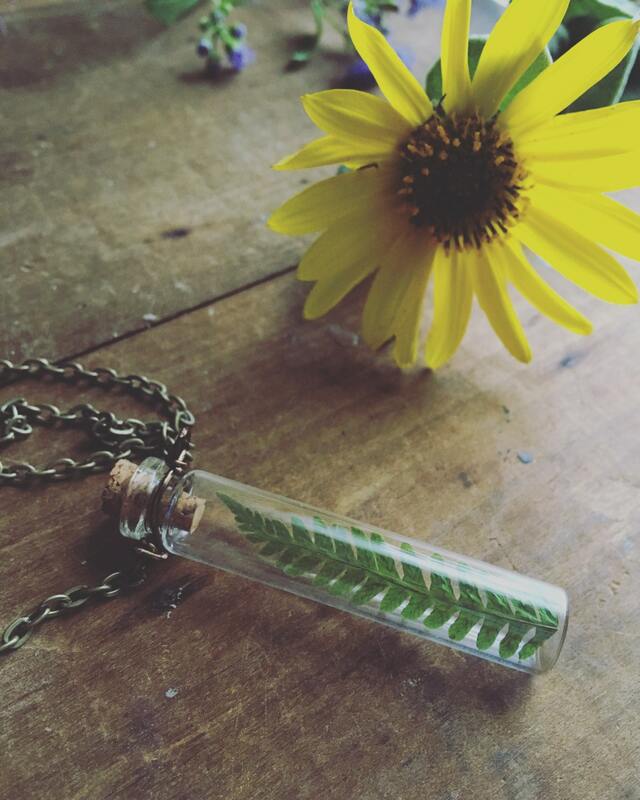 There was a situation with the necklace and the store owner handled the situation kindly.